As you know, we lost a major voice for reason late last year. While we can’t say that we have been in agreement with all of his views, it would not be an exaggeration to say that in the freethinking community, he was a giant. It is to the memory of Christopher Hitchens that we, the staff of the Skeptic Friends Network, dedicate this eighth anniversary edition of our Skeptic Summary. Accurate representation of Christianity or not? - Comparison with spousal abuse syndrome. Awesome job NASA! - Great cheers as Curiosity makes touch-down. Poltergeist phenomena - Where do we even start the investigation? Editor’s Choice: Publisher pulls The Jefferson Lies from shelves - But of course it’s all a liberal plot. Anti-vaxers are sending viruses through the mail — Having their babies get sick is good (regardless of the legal aspects)? Bulk homeopathy — The secret Big Alt Med doesn’t want you to know. Christian/Humanist meeting to share perspectives — “Christians and Humanists meet on neutral ground” video recording. Christianity, immaterialism and falsifiability — What’s the difference between absolute truth and objective reality? Christopher Hitchens has died — The loss felt by atheists and skeptics is huge. Cowardly Agnostics — A True-Believer atheist bashes a straw man he calls agnosticism. Experiment, evidence, and theory — A good illustration. Global Warming boiled down to a simple view — Pascal’s Wager applied to climate change. Hate speech — What’s the definition of censorship? Rebecca Watson not appearing at TAM — Another important storm rising around sexual harassment. RIP Steve Jobs — Appreciate the man and his accomplishments. Skepticism about the Big Bang — What does Dark Matter have to do with it? Unarmed Trayvon Martin gunned down — A fatal shooting, and interpreting gun laws. Yeast evolves multicellularity in lab in 60 days — Answers in Genesis disagrees, and so does an ID shill. Free the Glutens, or When a Cookie isn’t Just a Cookie — Michelle Shires shows us that free isn’t always free, even in nutrition and health. Natural Childbirth: Under the Skeptical Movement’s Radar? — Should skeptics be examining the natural childbirth movement more strenuously? 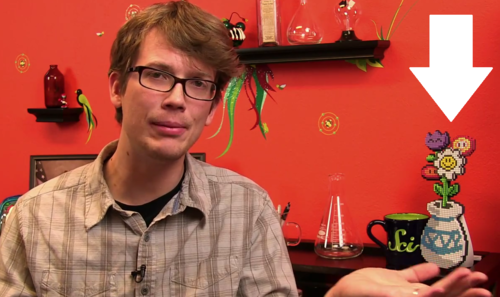 The SciShow — The SciShow is a video blog that is about, guess what? Four times a week, Hank Green hosts science news, general interest science, science history, really fun science and just lots of stuff, all presented in an engaging and enthusiastic as well as a somewhat geeky style of the kind that makes me happy. I only became aware of this YouTube channel a few months ago, and I’m now officially addicted to it. I’ve been posting the videos on my Facebook page, and it occurred to me that I should give it a shout out here in the SFN weekly Summary, because why not? Hank Green has been knocking around video blogging for a while now, as the hotlink on his name suggests. Music too! And I mean music that he and his brother have made themselves. They are also involved in charities. Just click on his name and you will get the Wikipedia low-down on him. But the page needs updating because SciShow isn’t even mentioned, and it really should be. Hank Green is a professional Internet Dude. He is hungry and wishes that he had a corndog. And apparently Google Chrome spellcheck doesn’t think that corndog is a word. PREPOSTEROUS!!! Former bio-chemist, former web developer, former freelance writer. 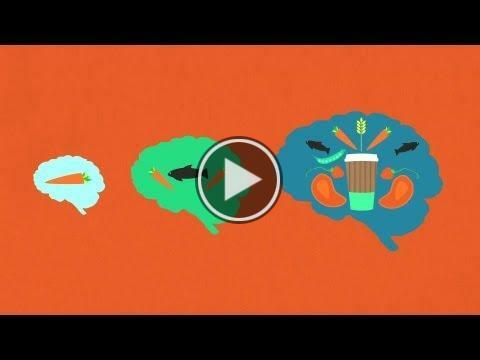 Hank Green enriches your world with Science four times a week. Well… Maybe he isn’t running that page? He links to it from his videos. I dunno. The thing is, the SciShow is great. So never mind the lack of info on it. Just go ahead and subscribe to the channel and watch it. I know you will like it, because if you weren’t the kind of person who likes stuff like the SciShow, you wouldn’t be here reading this! Perpetual motion machines wins a spot in this, the eighth summer spectacular edition of our sometimes-weekly Skeptic Summary. Just think of the countless hours of thought and tinkering that goes into this quest for the physically impossible. Its success literally depends on the violation of the first and/or second Laws of Thermodynamics. And still those intrepid inventors searching for the Holy Grail of perpetual motion tinker on, sometimes coming up with very creative ideas and results, the flaw being that so far, non of them have worked. 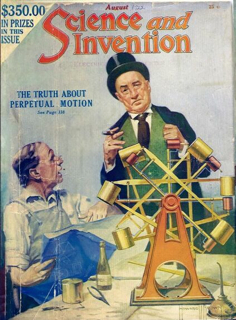 The Museum of Unworkable Devices: Perpetual motion machines as physics puzzles — Way back (WWW time) in the January 20th, 2008, edition of our Skeptic Summary, I chose as my pick, Donald Simanek’s Pages. Hopefully, whether because of my advice or not, you have been there. It’s a wonderful site, and rather vast. I still wholeheartedly recommend the site, and being that it has been years since that pick, I thought I would recommend it again, only this time with more focus on the section of the site that looks at perpetual motion machines. This is a museum of fascinating machines that can’t work along with the physics on why they can’t work, and even some puzzles and quizzes for those who want to delve deeper into the physics of where exactly the inventors have gone wrong. This museum is a celebration of fascinating devices that don’t work. It houses diverse examples of the perverse genius of inventors who refused to let their thinking be intimidated by the laws of nature, remaining optimistic in the face of repeated failures. Watch and be amazed as we bring to life eccentric and even intricate perpetual motion machines that have remained steadfastly unmoving since their inception. Marvel at the ingenuity of the human mind, as it reinvents the square wheel in all of its possible variations. Exercise your mind to puzzle out exactly why they don’t work as the inventors intended. Like any museum, the site is divided up into Galleries. There is a menu of galleries that are off of the homepage, and a Main Gallery on the homepage that starts with a section called It’ll never work! which goes a way to explain the fallacious thinking of those who think that physical laws may not apply in all cases or that science being what it is, certain physical laws of nature are being held dogmatically by scientists and the inventor’s ideas should not be so easily dismissed. It’s a historical fact that the laws of thermodynamics were initially proposed to describe the fact that all previous attempts to achieve perpetual motion had failed. We’ve learned more about these laws since then, and have a much better understanding of them and why they are so powerful in describing what can and can’t happen in nature. The principle of unlimited possibility. Anything is possible in nature. The “heavier on one side” seduction. The “more weight on one side” distraction. Failure to isolate the system. The “dog chasing its tail” principle. If you are getting the idea that the site is dry, than it’s because of my writing skills and not because of the site. I have only linked to the first article in each of the two main menus, and they are fun and highly readable. (And that’s coming from a guy who has to look up even simple physics questions!) Also included on the fairly long menu lists are the machines themselves, how to build a fake perpetual motion machine, The Gallery of Ingenious, but Impractical Devices, and even a Gallery of 3d stereo artistic impossibilities. Not everything on the site is about perpetual motion. Just most of it is. Anyhow, along with a fun visit to Donald Simanek’s Pages, spend some time at The Museum of Unworkable Devices: Perpetual motion machines as physics puzzles. As a reference and for sheer educational and entertainment value, it’s a skeptic’s paradise. perpetual motion machines for museums and trade shows. Doubtful News — A little less than a year ago I picked a new site that I felt worthy of wide attention in our community. At the time it was called Doubtful Newsblog, and although it had a somewhat different look than it does now, the mission was clear and remains pretty much unchanged. 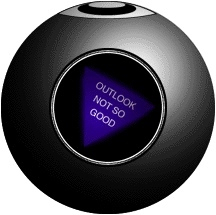 Doubtful News has made it to the coveted (in my own mind) spot as Evilest Pick because it has more than exceeded my expectations for the site and in the process, it has become my number-one news feed and my favorite resource for strange goings on in the world of interest to me and many other skeptics. I post links to the site from both my personal Facebook page as well as SFN’s Facebook page. And the site often shows up in the Elsewhere in the World section of this, our sometimes-weekly Skeptic Summary. Unfortunately for me, I can’t simply re-post my pick from last September, because there have been too many changes in the format and look, probably due to a couple of server changes. Many of the links that I posted back then don’t work anymore. So it goes. 1. Be the one-stop source of breaking news of interest to critical thinkers. There are a lot of topics gaining attention in circles you may not be aware of. Hopefully, showing the public that these issues are out there (yes, people really believe this stuff) will bring attention to them. 2. Be first or really fast to deliver something you may not find on your own. The DN format, with multiple updates daily, allows for stories to be posted days ahead of their appearance in larger outlets, the skeptical literature and even before appearance in blogs and podcast, which makes it an ideal source for subject material. Because we look at sites with non-skeptical views, we find some interesting things you might miss in your regular browsing. 3. Provide the alternate view from a credulous media. The theme woven through the stories is that critical thinking is essential when consuming media or products and for understanding what is going on in the world. Many incredible stories are put out there as credible. DN gains many site hits through web searches. People now have a resource to hear the critical pieces the media has left out in order for them to be more thoroughly informed about a subject. Also, you rarely hear about the solving of a mystery story. 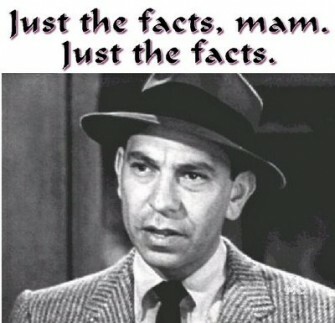 We will post the results of debunking or investigations so you know what really happened. 4. We’d like to be a place where all views are welcome. Thoughtful comments between people who disagree spark new ideas and realizations that promote better understanding. Therefore, pro-paranormal beliefs are open for discussion. Bring your best evidence. Comment moderation is in force so it won’t get nasty. And look, I could spend a lot of my time linking to specific stories at the Doubtful News site. But to really get an idea of the number and scope of news stories that make it to the blog, you really do need to check it out for yourself. Here’s what I can say: if it has currently made it into the media and it’s weird, anomalous or dangerously credulous reporting, in need of a critical look and comment, it can probably be found at Doubtful News. Wednesday the 8th: When Dr. Mabuse came back from his holiday no one else was there. After ten whole minutes of emptiness chat slowly got repopulated, starting as usual with a Wall Street report from Terry. Kil couldn’t help himself and posted a pun within a minute of logging on. We spent some time discussing the nomenclature of relatives, then places to go on vacation. TAM and Dragon*Con got mentioned. We talked about gun fighters and dueling, on the silver screen and real life. More stories from TAM which were never told on the forum (hint: join our chat sessions). Chat ended with space exploration and landscapes and weather of different states. Wednesday the 15th: Chat started out talking about Wall Street and taking a smaller loss to avoid ending up with a larger one, and how it relates to gambling addicts. Derren Brown got a mention as well as a Swedish mentalist called Henrik Fexeus. We also talked about the USA and its war in Afghanistan and Iraq and the lack of adherence to the Geneva Conventions. Vice Presidential Candidate Paul Ryan was discussed and what damage a vice presidency with him will do. We all seemed to agree that his nomination will help get Obama re-elected. The chat was really slow, so we didn’t get more than this to put in the Summary this time. And with those six, we have had 125 new members since our last anniversary edition! How Did Insect Metamorphosis Evolve? Your Inner Fish: a Journey into the 3.5-Billion-Year History of the Human Body, by Neil Shubin. The Magic of Reality: How We Know What’s Really True, by Richard Dawkins and Dave McKean (Illustrator). “Magic takes many forms. Supernatural magic is what our ancestors used in order to explain the world before they developed the scientific method. The ancient Egyptians explained the night by suggesting the goddess Nut swallowed the sun. The Vikings believed a rainbow was the gods’ bridge to earth. The Japanese used to explain earthquakes by conjuring a gigantic catfish that carried the world on its back — earthquakes occurred each time it flipped its tail. These are magical, extraordinary tales. But there is another kind of magic, and it lies in the exhilaration of discovering the real answers to these questions. It is the magic of reality — science. There were 7,514 daily visitors this week. Is a major event going to happen on 28th October? A disturbing trend, ’er no? Who would win, grizzly or gorilla? There were 374,747 daily visitors last year.